Peretti’s No. 101 in a 2002 IMP smooth full bend egg shaped meer with a black acrylic stem. GLP Lagonda in a 1990s smooth Peterson Captain Pete XL80 bulldog with a black vulcanite p-lip stem. Solani Silver Flake in a straight Lane era Charatan black with burgundy undertone sandblasted billiard 420 with a black vulcanite stem. Kendal Kentucky in a Cassano Forte poker. Part way through this bowl of Peretti’s Boston Slices in an egg shaped medium bend smooth Burgundy colored 1985 Caminetto with a black acrylic stem. ODF in a wee Dunhill Apple I've let cake up so the chamber is smaller than a group 1. Perfect for quick smokes. Also extremely cool. Peter, I absolutely love this pipe!! McClelland's Wilderness in my Rusticated Peterson Bulldog XL-13 Silver Spigot. A third of the way through this bowl of MacBaren Navy Flake in a 2016 PSF POY quarter bend black sandblasted Vermont Freehand egg with an aluminum band and amber tortoise saddle stem. Just finished smoking C&D Kickin’ Chicken in an early 1930s smooth straight Super Grain Kaywoodie Synchrostem Canadian 5129 with a black vulcanite stem. 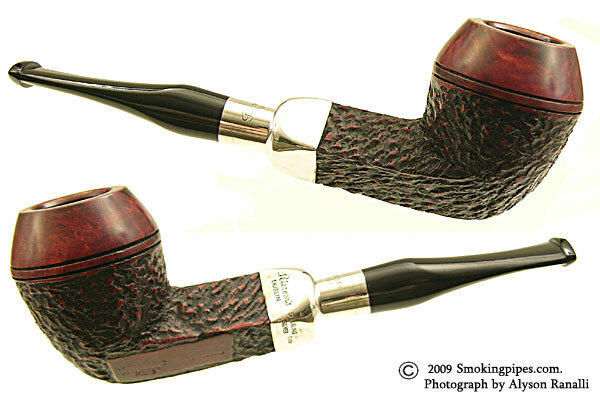 2012 Anniversary Kake in a smooth 1979 Chippendale (Charatan second) Rhodesian 49 with a black vulcanite stem. Almost half way through this bowl of Jim's Va/Bur in a 2015 Basil Meadows Bing Crosby Merchant Service replica with a smooth straight thin shank, aluminum band and black ebonite stem. GREECE NEVER DIES ,as the old military anthem says. I am smoking Herman Lane 1-Q in a Peterson with a cappuccino plus cool water aside.